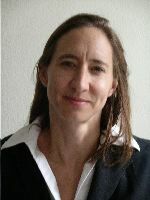 Jacqueline Klopp is an Associate Research Scholar at the Center for Sustainable Urban Development at Columbia University. Previously, she taught for many years at the School of International and Public Affairs at Columbia University where she remains affiliated. Her research focuses at the intersection of sustainable land use, democratization, violence, displacement and corruption. Klopp is the author of articles for Africa Today, African Studies Review, African Studies, Canadian Journal of African Studies, Comparative Politics, Forced Migration Review, Urban Forum, World Policy Review among others. She is also a founder and Board member of the Internal Displacement Policy and Advocacy Center (IDPAC) based in Nakuru, Kenya. She is writing a book on the politics of planning in Nairobi and is taking an increasing interest in ICT and questions of public participation in policymaking around planning. Klopp received her B.A. from Harvard University in Physics and her Ph.D. in Political Science from McGill University.